Marcus Solis is live with the latest details. 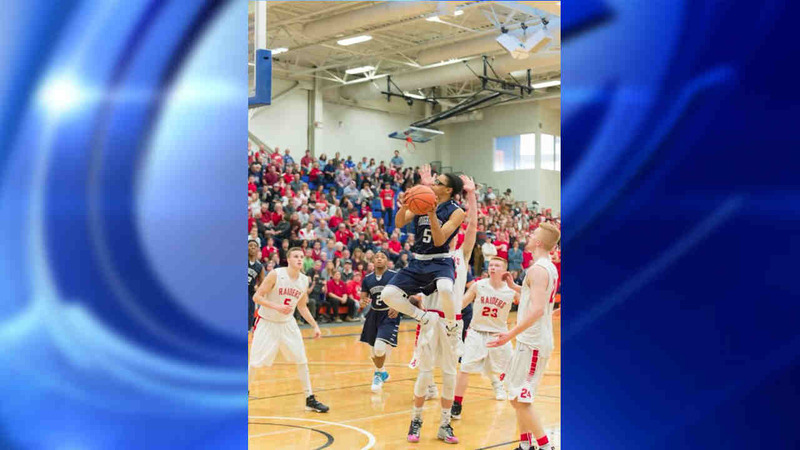 POUGHKEEPSIE, New York (WABC) -- A star high school basketball athlete was gunned down just hours after winning a big game in Dutchess County Wednesday night, and now his heartbroken family and friends are demanding answers. Caval Haylett, who was 18 years old and being recruited by colleges, was caught in crossfire while walking home from his all-star game. "I just want to know why," mom Cathis Johnson said. "Why? He didn't deserve that." Amid the tears, painful questions persist as loved ones mourn Haylett. He was shot once in the head in Poughkeepsie, and police do not believe he was the intended target. But someone opened fire into the group he was with on Winnikee Street, and Haylett's life was cut short. Another 18-year-old was also injured. He was treated and released from the hospital. "He went to school, he played his basketball with the high school and stuff," Johnson said. "And, you know, he hung out with his friends and his girlfriend. But never (had) no beef with somebody would cause harm to him." Haylett was a star at Poughkeepsie High School who hours before the shooting scored 21 points in the Dutchess County all-star game. He even tweeted a picture of his trophy, with the words "look what God has blessed me with." "This is the trophy, Caval was so happy about it," sister Mariyah Johnson said through her tears. "caval did not deserve this, but he will live on forever. And I will make sure everybody remembers my little brother." It was a time of sheer joy that has become a gut-wrenching scenario for his family. "The entire City of Poughkeepsie morns with a heavy heart the loss of a young life," Poughkeepsie Mayor Rob Rolison said in a statement. "Too often, we hear of senseless acts of violence taking the lives of young people in our Country. Today, this tragedy has struck our city. Our deepest condolences go out to the family, friends and all those in our community whose lives were touched by this gifted and generous young man. The city is committing every resource to bringing this man's killer to justice and we continue to ask the public for any help or information about the incident that occurred on Winnikee Avenue. Please call 845-451-7577 with any information."